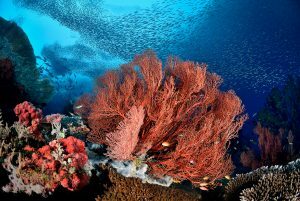 The Bird’s Head Seascape is often touted as the epicentre of global marine biodiversity, and its reefs are truly something to behold. 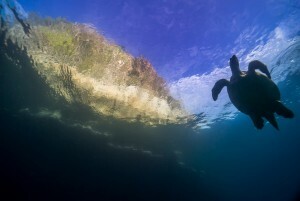 It is undoubtedly one of my favourite places on the planet to dive, and I am still amazed that every time I visit I encounter creatures I’ve never seen before. Some are new to science, others are way outside their previously known geographic range and yet more are hitherto known from just a few specimens. However, you might be surprised that it can take a little time to fall in love with this place. 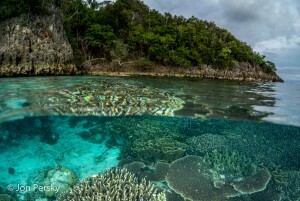 With all the superlatives associated with Raja Ampat, expectations are always high but when folk arrive from across the world they can sometimes seem confused what all the fuss is about. 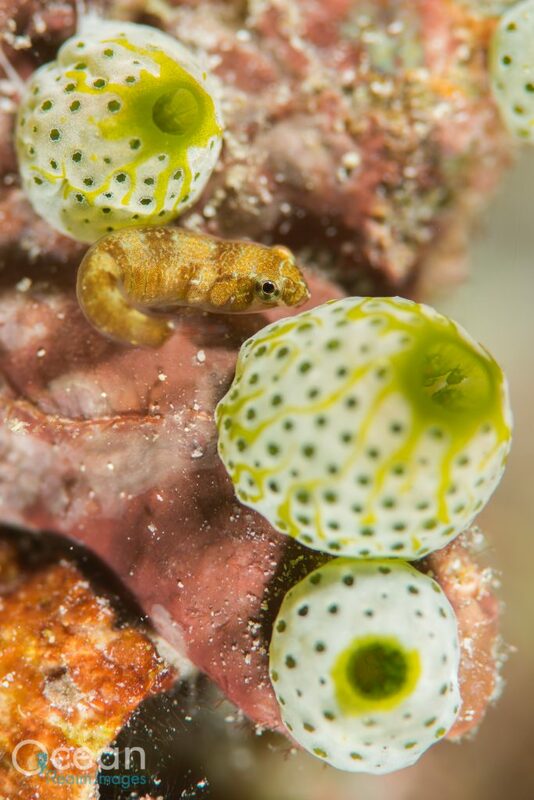 Of course, there are a lot of fish, yes the reefs are pristine but the visibility isn’t always gin clear and there were only two pygmy seahorses on that last dive! Personally, I think that the Bird’s Head isn’t a one visit kind of place. 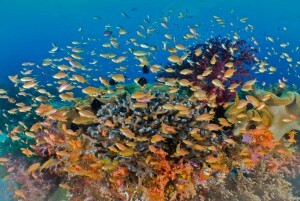 A first visit can easily be spent looking at the bigger picture, distracted from the reef’s smaller inhabitants. You might not get to both the north and south of Raja, which are so very distinct from each other. 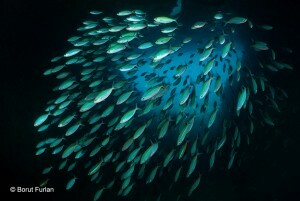 You might not be there in the season that great clouds of silversides smother the reef. There are so many facets to the Bird’s Head that you simply can’t see it all on one trip. Something very special about the Bird’s Head is the unexpected rarities that you are sure to encounter given time. On a previous Natural History Notes, I shared my discovery of a leopard anemone shrimp pair (Izucaris masudai) in north Raja. These stunning monochrome crustaceans were nonchalantly and unexpectedly sitting on a leopard anemone at 30 metres. On the same trip, I had photographed a Cenderawasih Bay fairy wrasse (Cirrhilabrus cenderawasih) off Batanta Island, one of Raja’s Four Kings. 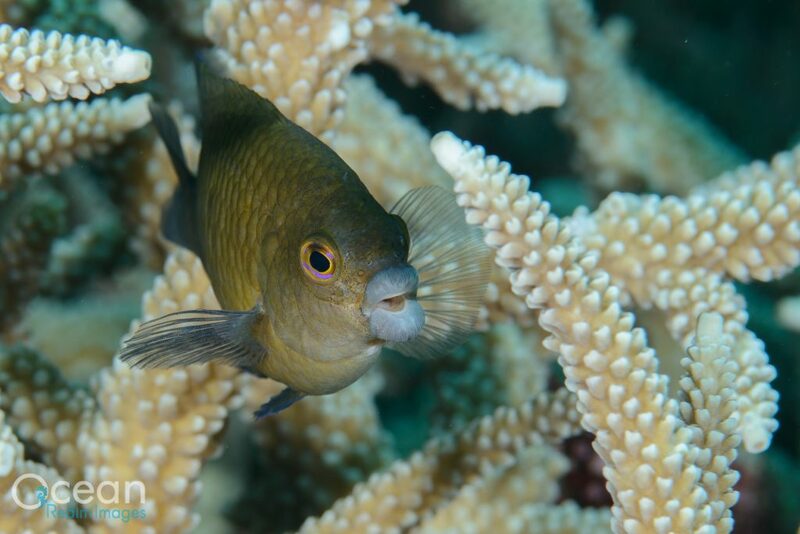 Named as recently as 2006, it turns out these beautiful fish aren’t restricted to the Bird’s Head’s famed northern bay as we first thought, they’re in Raja Ampat too. 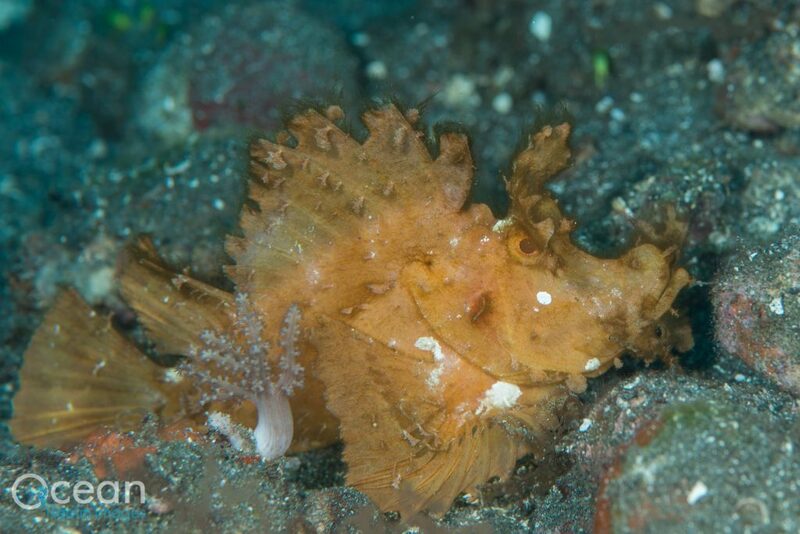 Several years before, I was diving a great site in the north of Raja Ampat, named Cendana Dock where I found a couple of fishes that I hopefully named ‘Richard’s waspfish’. 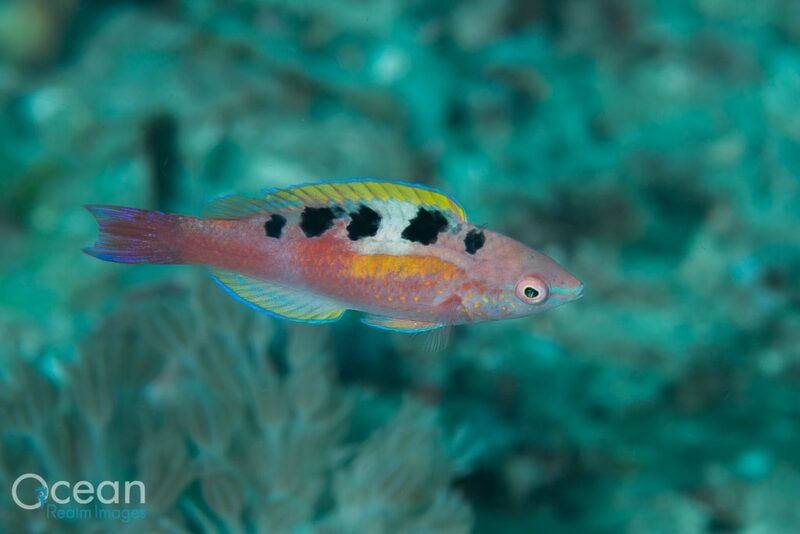 Howveer, thanks to Gerry Allen and Mark Erdmann’s fantastic ‘Reef Fishes of the East Indies’ apps, I finally discovered that it was in fact a rare triplefin velvetfish (Neoaploactis tridorsalis) known from just a few scattered locations in the Coral Triangle. 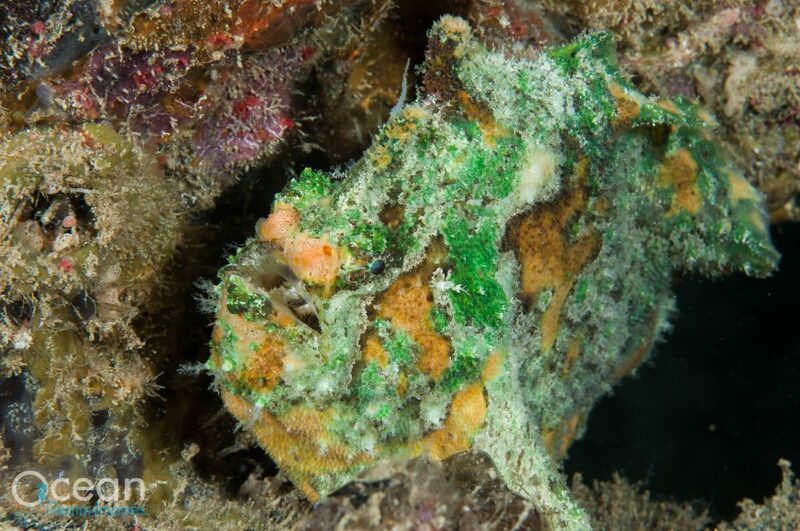 Another fish that this app had finally helped me to identify was a bright green frogfish that I found at night on the Kri House Reef on my first visit to Raja Ampat in 2004. 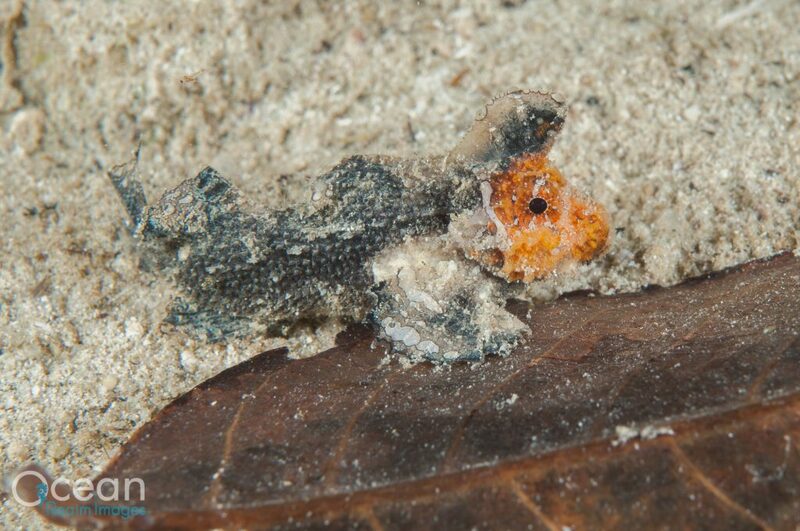 When I saw it again in Aljui Bay, North Raja, I solved the mystery and figured out its identity as the marble-mouthed frogfish (Lophiocharon lithinostomus). 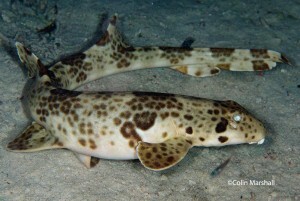 Again, a distinctive fish known only from scattered locations in the region. 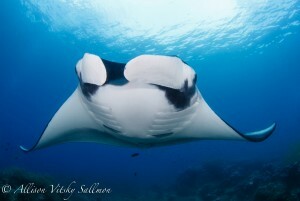 For nudibranch lovers, the Bird’s Head again can easily take you by surprise. 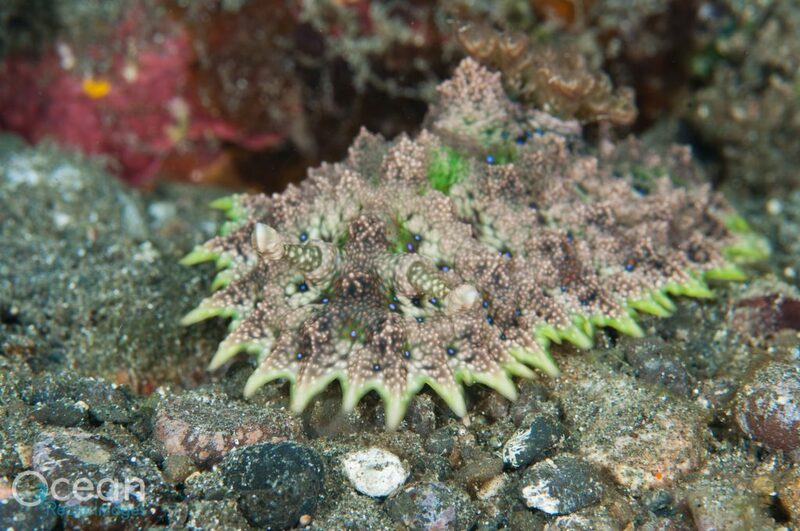 This spring, on a dive off Batanta Island I found a rare and very variable nudibranch, the pitted Ceratosoma (Ceratosoma miamiranum). The mantle edge had a harsh zippered edge and it took some time for me to find it in the identification books as some animals can be completely smooth and are almost incomparable. 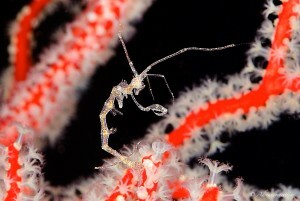 On a site in the south, I saw my first ornate dermatobranchus (Dermatobranchus ornatus). Unlike most members of this genus, this was a large animal several inches long. I always find it satisfying seeing a new nudi that isn’t too tiny to identify! With each visit to the Bird’s Head one spends more time, covering more ground and looking even closer at the jubilant communities. 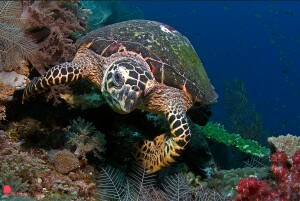 Earlier this year, I was leading a group liveaboard tour around Raja Ampat. At a site called Mioskon something different caught my eye. 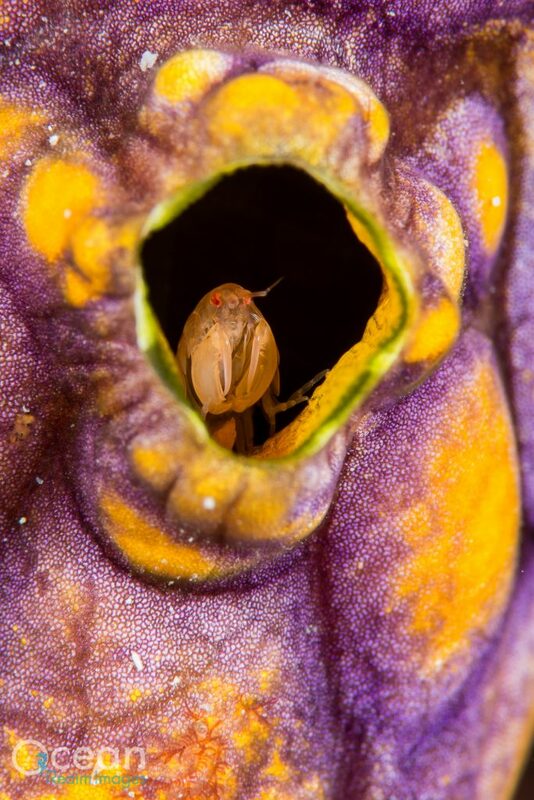 From inside one of the large gaudy Polycarpa tunicates, I felt something following my progress along the reef. I looked round, and peering from within the exhalent siphon a large orange amphipod looking out. I had never seen anything like it. I later contacted the scientist who described a very similar species recently named after Sir Elton John, who explained that this is either a commensal amphipod, or a new species. He told me that this large male, with his menacing scythe-like gnathopod arms was likely guarding his partners and offspring within. Clearly, a great example of the Bird’s Head offering up another surprise. Below are a few “Rarities” photos that aren’t mentioned in the text which Richard would like to share with us. Thanks Rich!